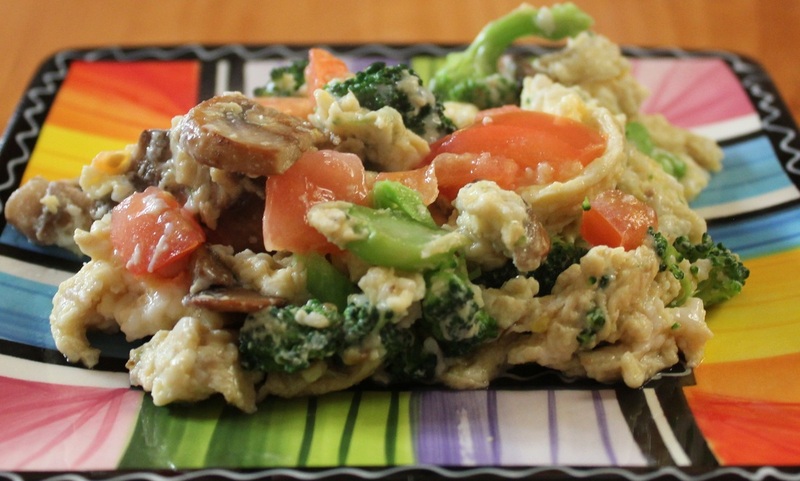 Serve this quick, healthy egg dish for breakfast or as part of a weekend brunch. 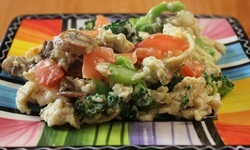 In a small bowl, lightly scramble the eggs. Saute garlic and mushrooms until tender, about 8 minutes. Add broccoli saute 3-4 minutes. Pour the eggs into the pan, stirring frequently. Stir in chopped tomato, cook until warm.